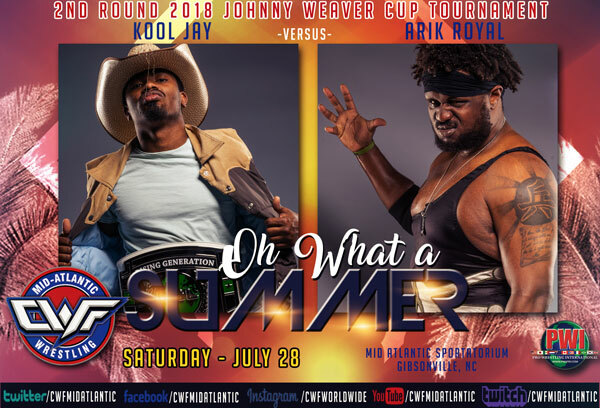 CWF Mid-Atlantic presents “Oh What a Summer” on Saturday, July 28th, at the Mid Atlantic Sportatorium in Gibsonville, NC! Two big title bouts are confirmed plus 2nd Round Matches for this year’s Johnny Weaver Cup Tournament! The “Double Crown” Champion, Trevor Lee, will be in action this Saturday Night! 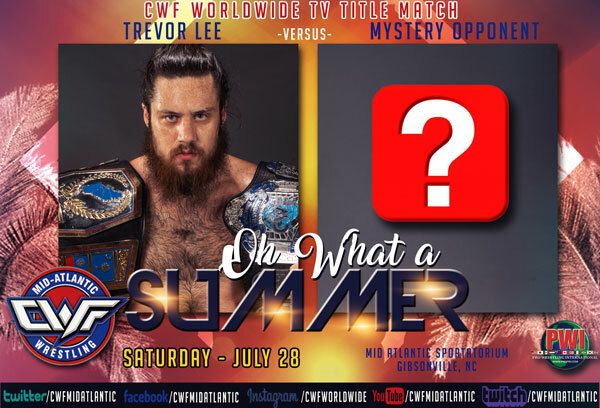 Having already defended his Mid-Atlantic Heavyweight Championship two weeks ago (along with the TV Title), this week Lee will only defend the CWF Worldwide TV Title! His opponent will be randomly selected during the live event. This could provide an opportunity of a lifetime for one lucky person in the locker room!!! The new Mid-Atlantic Tag Team Champions, Michael McAllister & Nick Richards, will make their second title defense this Saturday! The Champions turned back the challenge of former champions, The Dawson Brothers, in Chapel Hill just two weeks ago. 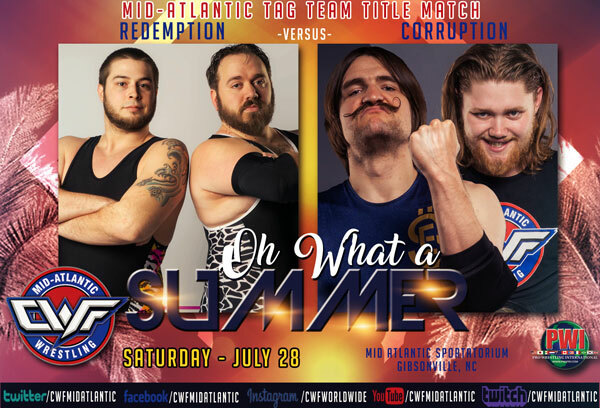 That win solidified their claim to the titles and this week will only add to the legend of “Redemption” as they face top rival, “Corruption.” Ethan Alexander Sharpe & Cain Justice have procured this title bout by actually eliminating their competition. Snooty Foxx & Dirty Daddy should have received the championship match but Dirty Daddy is still restricted from active wrestling due to an injury received from Corruption. The remarkable climb of “Cowboy” Kool Jay is still in hyper-drive as he has driven the “All Star Gang” like a herd of cattle right our of town! He whipped their leader, Coach Gemini, in a Bull Rope Match, then he dispatched Mace Li in his first every Weaver Cup appearance. 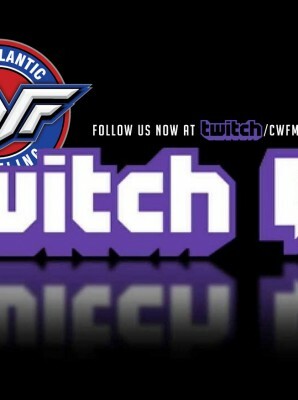 This week Kool Jay faces his biggest test ever, as he squares up with Arik Royal!! Royal is the only 2-Time Winner of the Weaver Cup and the heavy favorite to make it to the finals again this year. The winner of this match will move into the “Final Four” on Finals Night on August 25th where it will take two wins to claim the prestigious trophy. Snooty Foxx scored the easier victory in the annual tournament last week with a forfeit win over Aric Andrews. Andrews was unable to arrive in time for his match and Foxx advanced to the 2nd Round where he will face “The Southern Savior” John Skyler! 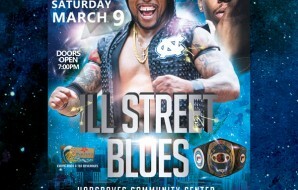 This match will be a true test for Foxx but Skyler will have his hands full with this young powerhouse. 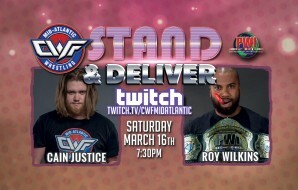 The winner will advance to the “Final Four” and meet the winner of the Arik Royal/Kool Jay match in the semi-finals with the winner facing the Block A semi-final winner. 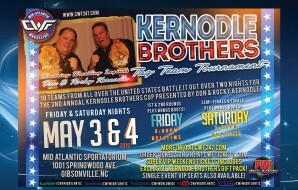 Tickets are on sale at cwftickets.com with special Kernodle Club Seating and VIP Front Row seats now available!!! Get them now to reserve the best seating!!! SUPPORT YOUR LOCAL SHERIFF – Now a Special Fundraiser for “Cowboy” Kool Jay!